Permanent Print will print your large format banner and have it ready for pick up or shipping next day after you send us your artwork. Banner can be hemmed and we can install grommets on each side for easy installation. 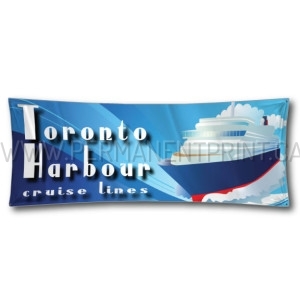 Banners are full color printed on high quality reinforced vinyl media that is designed for outdoor use. WE WILL HAVE YOUR BANNER READY TOMORROW IF YOU WILL SEND US YOUR ARTWORK TODAY. Deliver your order ON TIME!